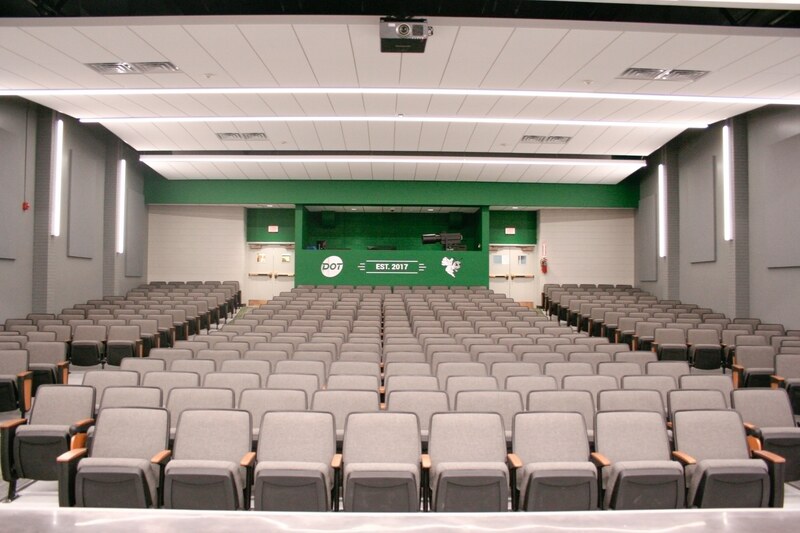 Brown County High School began the auditorium project with smaller scale goals in mind, focusing on upgrading the technology and theatre equipment. 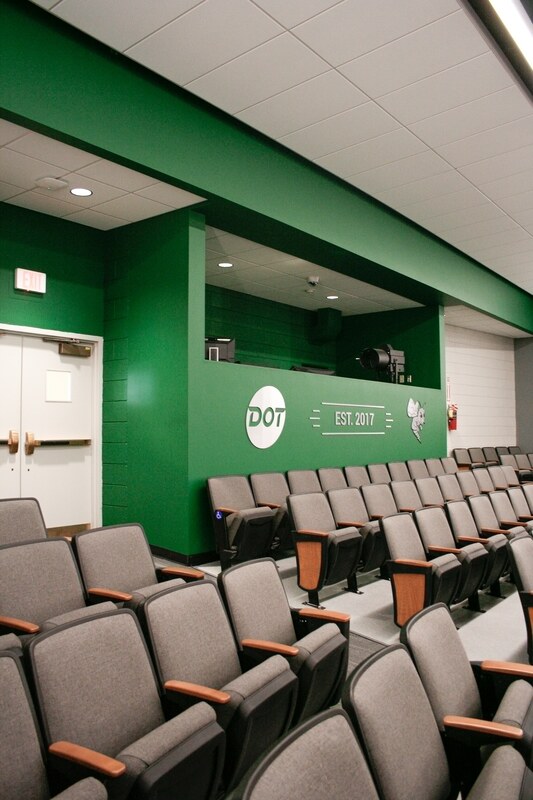 With the help of DOT Foods, the high school was able to renovate the entire auditorium to create a state-of-the-art, multi-purpose facility for students, faculty, and community members. 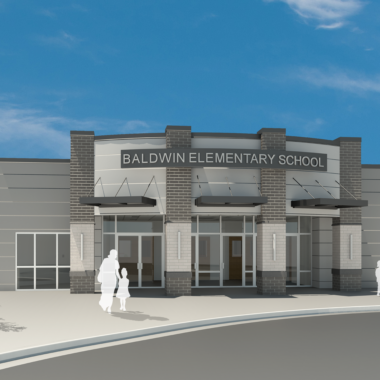 One of the main goals was to make the space and new technology as user-friendly and accessible as possible. 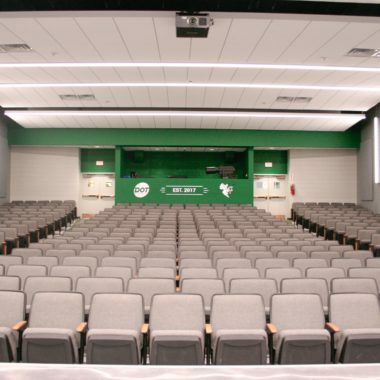 By expanding and opening the sound booth to the audience, the sound and lighting crews were able to interact more seamlessly with the performances and the audience. Advanced controls with customizable scenes allow users to easily set the environment to compliment their specific function. 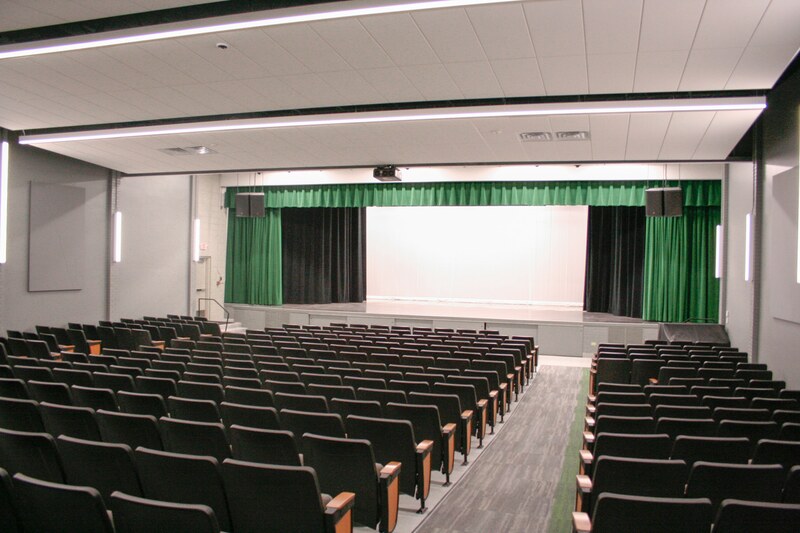 Acoustic ceiling clouds, LED lighting, and new auditorium seating all greatly enhance user experience during theatre and dance performances as well as corporate and community meetings. 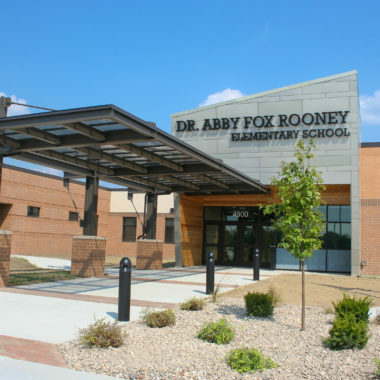 The interior finishes revitalize the space, providing a fresh atmosphere while still remaining durable, low maintenance, and cost effective. 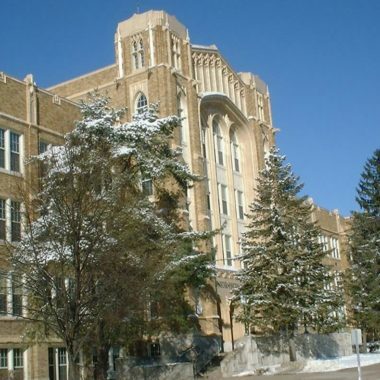 The spirit of the school is captured in accents of their colors of yellow and green along with a large hornet graphic on the back wall. A dedication plaque and logo are centered on the sound booth to recognize the generosity and community support from DOT Foods.